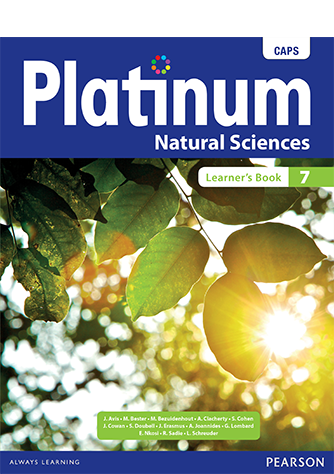 What makes the Platinum Natural Sciences course unique? Its superior quality will guarantee exam successs! 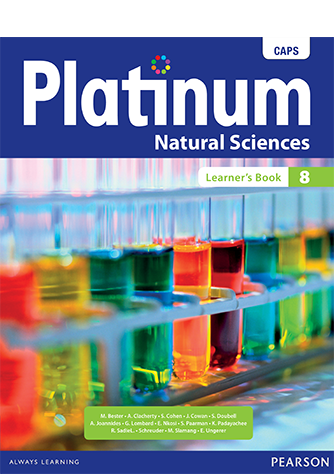 It is the number one choice of textbook for Natural Science teachers. Learners are given the opportunity to practice each new skill that is precribed by CAPS through the focus pages that cover process skills. 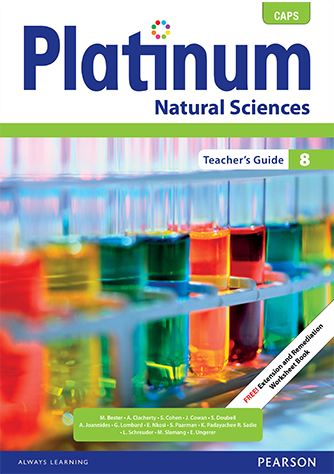 The authors are experts in Natural Science education and they have taken care to expertly cover all aspects of the CAPS curriculum. 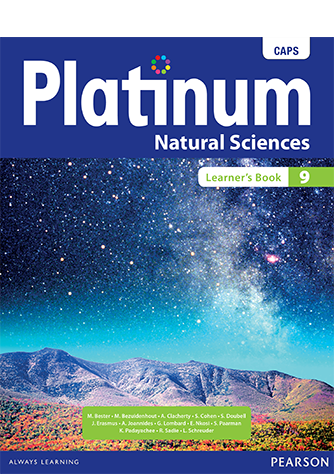 There are key word boxes throughout the text to explain unfamiliar terms, and Science Language practice at the end of each topic to make scienctific language more accessible to learners. At the end of each unit there also is a Key Concepts paragraph as well as topic revisions to strengthen the learner’s grasp of new concepts. 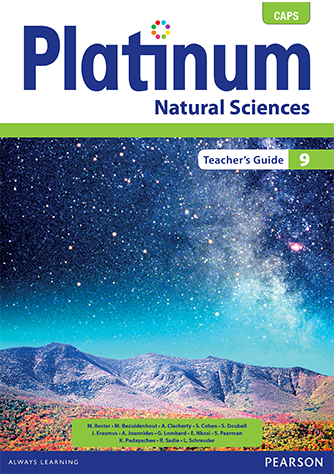 High-quality artwork and real-life photographs enhance visual literacy and make the subject Natural Sciences more accessible. Superior illustrations and activities to improve results and motivate learners. There are plenty of resources pages which make the subject real and relevant to everyday life. 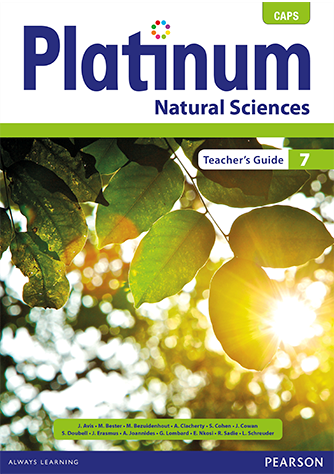 The Platinum Natural Science series has superior teacher support to save time and make teaching easy, including worksheets that can be photocopied.